Looking for ways to grow your wellness blog? Wonder how to drive traffic and user engagement? If so, quality content should be your priority. As obesity rates have increased, so did the number of wellness blogs. With millions of great bloggers out there, the competition is fierce. Luckily, there is a place for everyone on this crowded market. This industry has reached $3.72 trillion in 2015, and it’s only getting stronger. It offers endless opportunities for businesses and customers alike. The key is to set yourself apart from the competition. Nowadays, people are tired of reading the same old stories on how to lose weight or get healthy skin. They want actual facts and interesting information. What you post online can make or break your marketing efforts. Like it or not, you can’t simply set up a blog and expect people to find it on Google. Without quality content, you’re wasting your time. Statistics show that 81 percent of customers trust advice from blogs. Quality content is one of top three reasons why they follow a brand on social networks. Sites with a blog have over 97 percent more indexed links and 434 percent more indexed pages. These numbers show that blogging is a great way to attract and engage customers. Regardless of your niche, you need quality content to succeed. The problem with most wellness blogs is that they tend to offer the same information. It’s enough to read one blog to get an idea of what you’ll find on 10 other blogs. The only way to beat the competition is to provide real value to your audience. Your content needs to be unique, engaging, and concise. About 43 percent of readers are skimming blog posts. Unless your articles are interesting and relevant, no one will take the time to read them. So, what’s the key to create great content for wellness blogs? The wellness industry is flooded with blogs and websites covering weight loss, fitness, and beauty. However, most of them offer pretty much the same information. If you want to stand out, come up with something different. Take the time to research each topic. Read medical studies and authoritative wellness blogs. Write down the most interesting facts and build your story around them. Don’t just repeat the same things over and over. Provide tips and information that your readers can actually use. Let’s say you’re writing a post about the best ways to slow down aging. Besides beauty products and anti-aging treatments, recommend cheaper options too. Homemade creams and masks are something that anyone can try. Headlines are the first thing people see when your blog pops up in their search queries. Thus, they need to be catchy and interesting. About 36 percent of readers prefer list-based headlines. For instance, you can write something like Top 7 Anti-Aging Remedies That Actually Work or The 5 Best Exercises You’re Not Doing. According to a 2011 report, headlines with odd numbers get 20 percent more clicks than those with even numbers. The same report shows that titles with eight words perform best. Keep these things in mind when crafting your headlines. Wellness blogs can cover a variety of topics, from beauty to hair loss and general health. This opens a world of possibilities when it comes to content writing. The most popular posts on Google have 1,140 to 1,285 words. This is known as long-form content and tends to rank higher than the average post, which has about 500 words. Some experts recommended writing posts with at least 2,000 words. Others go as far as 7,000 words. Either way, one thing is for sure: the longer your posts, the better. Long-form content allows you to cover a topic in-depth and squeeze in more keywords. This leads to more traffic and backlinks, which in turn, boosts your SEO efforts. In general, wellness blogs target one or more niches, such as weight loss or skin care. The keywords you use should be relevant to that niche. For instance, if you’re blogging about fitness, target keywords related to exercise, fat loss, or sports supplements. Use Google’s Keyword Planner to research your options. Use your keywords in the headlines, page links, metadata, and content. Just make sure you don’t go overboard! The posts should flow smoothly and provide value to the reader. Most people use the Internet to seek answers. Check out Quora, Yahoo Answers, Reddit, and other chat boards to see what your audience is looking for. Read the questions posted on these boards. Craft your content around them. Provide meaningful replies and include relevant keywords. Exercise-Related Weight Gain: Is It Normal? Experiment with different headlines. Check out other blogs for inspiration. Once your post is ready, answer on Quora and then link to it. End every post with a call-to-action. Show readers what you expect them to do next, whether it’s downloading an eBook or joining your email list. For example, if you write about stroke medications, end your post with learn more about Eliquis or whatever drug you’ve covered. This will help readers get more information on the topic. If you’re actually selling that product, your revenue will increase. Most wellness blogs are general and vague. If you want to engage your readers, connect with them on a deeper level. Write in first person, share your success and failures, and tell personal stories. This way, people will be able to relate to your experiences. They will ask questions, leave comments, and follow you on the social media. Blog content involves more than text. 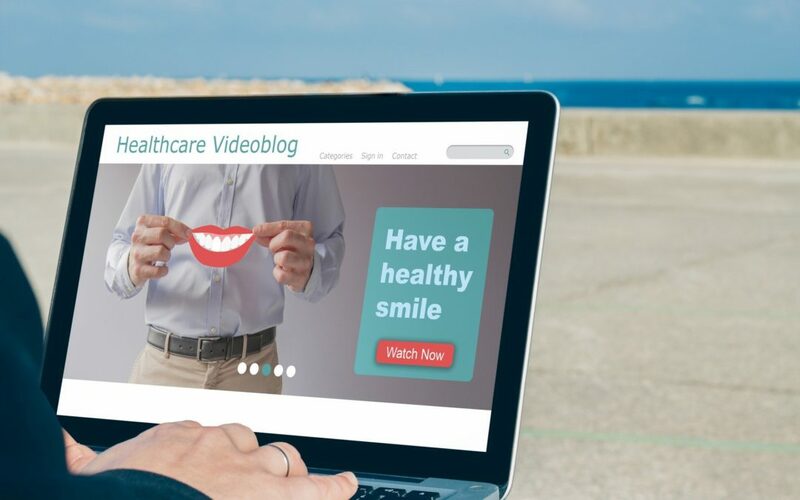 The most popular wellness blogs feature quality photos and actionable videos. People are more likely to watch a how-to video than reading the text. Adding images to your posts can increase user engagement by a whopping 650 percent. Thus, it makes sense to include visuals in your content. Now that you know what it takes to craft great content for wellness blogs, try it yourself! All it takes is discipline and creativity. The more effort you put, the more people will read your content. If you need help with SEO or online marketing, don’t hesitate to contact us! Our team can develop a customized marketing plan and grow your business.